I want to spark your creative imagination by introducing you to my contemporary approach to encaustic and oil & cold wax painting. My classes are small with individual attention and personal work time. In an atmosphere of exploration and open-mindedness you will develop technical skills to take your artwork to a new level of possibilities. 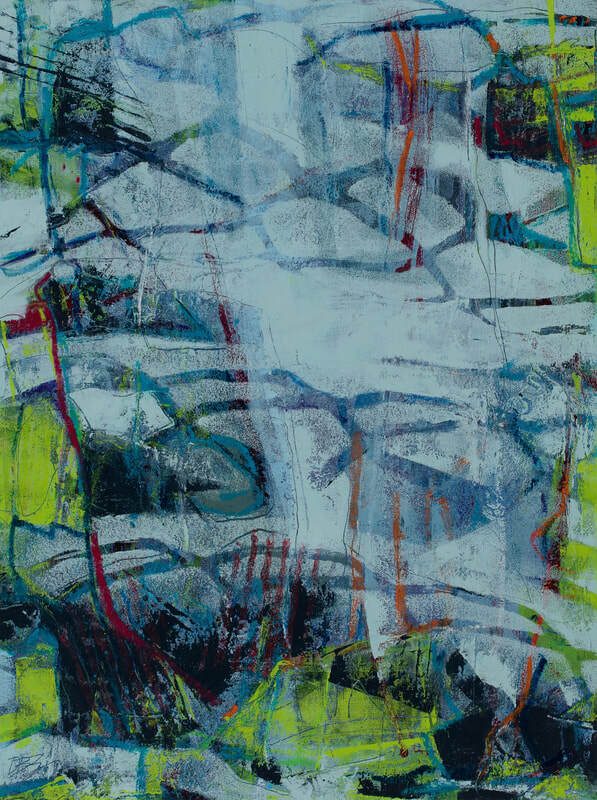 May 18 & 19 two day Oil and Cold Wax: This two day workshop explores the expressive potential of layering, texture, and mark-making. We will work on a couple of paintings at a time to develop related work of varied surface and related imagery. This workshop is open to artists new to oil and cold wax as well as participants from the introductory workshop. 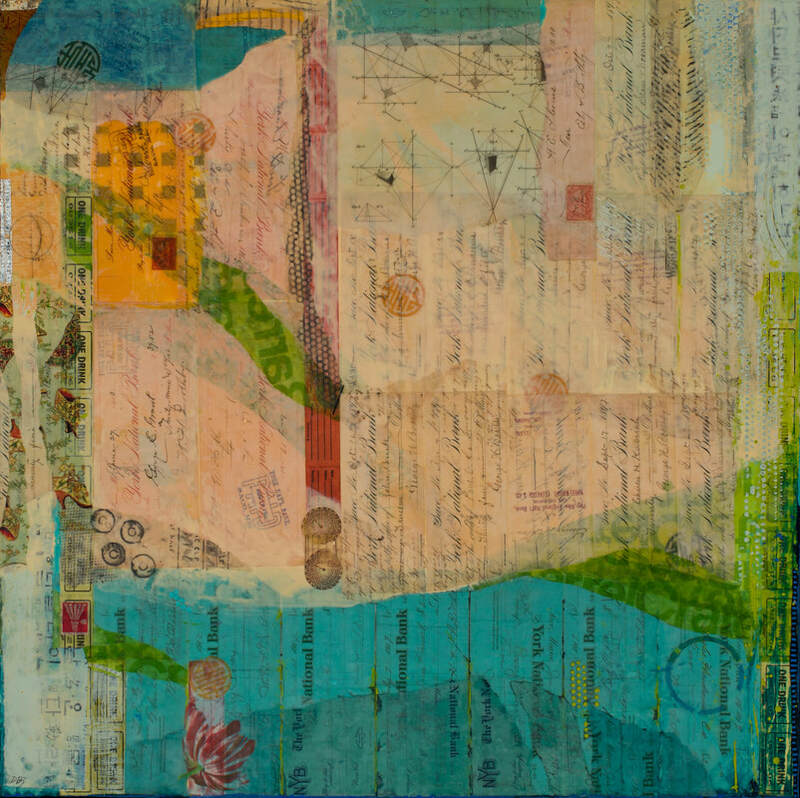 June 8 & 9 Mixed Media Encaustic: This workshop introduces you to a variety of ways to invigorate the imagery of your encaustic paintings with the addition of collage elements, monoprint, image transfer and the use of a various drawing materials. Cost: $230. Workshop location is Saco, Maine. Pre-registration and deposit are required. Payment accepted through Paypal or check. Please email diane.bowie.zaitlin@gmail.com for supply list, registration form, and further details, or to be added to my email list for future offerings. I offer master classes in my studio to artists with all levels of expertise. I have worked with many novices, professional artists seeking technical guidance for a specific project, artists who wish to refine their skills and imagery with encaustic or cold wax, and small groups of artist friends wanting to learn and explore a new medium together. Each session focuses on your needs using either encaustic or oil and cold wax. I enjoy sharing my knowledge and expertise with others and helping them develop their individual artist voices. “I really got the gentle confirmation from you that I needed to go ahead with my own process with a little less angst. I love your spirit and your work!” Connie Bigony, Boston, Mass. For over twenty years I have been an artist-in-residence at schools and museums with the Maine Touring Artist Program of the Maine Arts Commission as well as VSA of Maine and the Maine Art Education Association. I have been teaching encaustic for the past fifteen years. I was an active member of New England Wax and participated in many of their juried encaustic exhibits, as well as attending the International Encaustic Conference for three years. Diane received a B.F.A. from the University of Connecticut, Storrs, Connecticut and also studied at Skidmore College, Saratoga Springs, New York. She has attended Haystack Mountain School of Crafts numerous times, as well as Maine College of Art and R & F Paints in Kingston, N.Y.